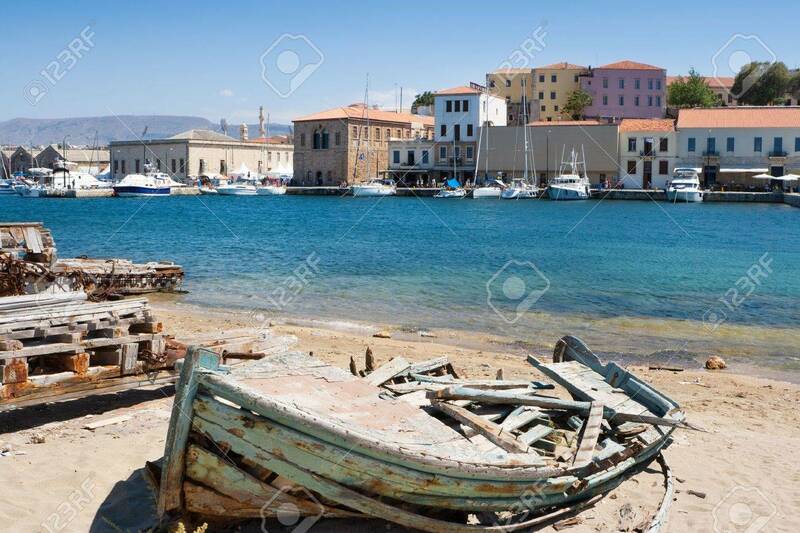 Old Wrecked Boat In Harbor Of Chania. Crete, Greece Stock Photo, Picture And Royalty Free Image. Image 7902838.